All of the autonomous communities of Spain have had a very interesting political trajectory since their constitution, after transitioning from the Francoist period. General parties and occasionally nationalist parties have taken part in many governing councils. This ranking displays all of the presidents of the Balearic Islands. If you belong to this community, or if you've lived in it or if you're up to sharing your opinion, we invite you to participate by voting and commenting. 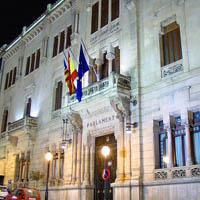 The end goal is simply to discover the Balearic Islands' president that has done the most for his land while in power. Who do you think is the best candidate for the presidency of the Balearic Islands?